Laura Massaro is a professional squash player from England. Laura is currently ranked number 2 in the World and number 1 in Europe. Her achievements to date are British Open Champion 2013, KL Open Champion 2013, US Open champion 2011, World player of the year 2011, Commonwealth Games silver medalist Delhi 2010 and 2x British Closed Champion. It all started for Laura when she picked up a racket aged 7 and progressed through the junior rankings winning British Closed titles at under 14, 15, 17 and twice at under 19. 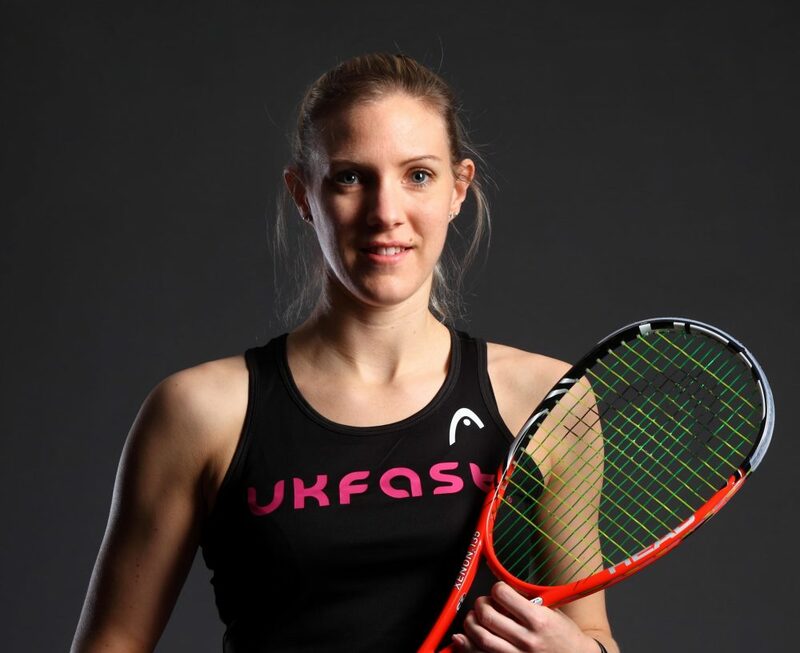 She was part of the winning England Junior Team at the European and World Championships before starting on the WSA (Women’s Squash Association) tour at 19 years of age. Laura progressed on the WSA tour over the 1st couple of years moving inside the world’s top 50. Laura’s first title came in 2005 as she won the German Open and then consistently achieved quarter-final placings to break inside the world’s top 20. She won her first $10,000 event, the Wolverhampton Open by beating top seed and national teammate Vicky Botwright in 2006, and returned a year later to again defeat the event favourite, this time beating Madeline Perry. 2008 saw Laura put in an extended run of tournaments in which she exceeded her seeded expectations, and in June of the same year, she broke into the world top 10, where she has remained ever since. In 2011, Laura won her first Gold 50 event, the Cleveland Classic despite being seeded 8th for the event, beating world champion Nicol David in the final, and later that year claimed another momentous win in the $60,000 WSA World Series Gold event, the US Open. The win allowed Laura to finish 2011 at No3 in the world. In 2012 Laura became England’s number 1 player when she jumped above England team mate Jenny Duncalf for the first time. She also won the Carol Weymuller Open in Brooklyn before ending the year as runner-up at the World Open in the Cayman Islands. This cemented her place as World Number 2. 2013 did not start positively. A sickness bug meant the withdrawal from the Cleveland Classic before recovering just in time to make the British National’s. The event went well with Laura narrowly losing in the final, which was a fantastic result considering the preparation. Then in March 2013 Laura won the KL Open. A world series Gold event beating world number 1 Nicol David in the semi-final before taking the title against Alison Waters in the final. It was a huge win to beat Nicol on her home turf in Malaysia. Laura then backed up this win with her biggest title to date winning the British Open title and becoming the 1st British Women to do so in 22years. The rest of 2013 was a good year. It didn’t bring any titles but Laura lost in very tight finals in the US Open and Monte Carlo Classic. 2014 started well with another final, this time in the Tournament of Champions in the iconic location of Grand Central Terminal in New York. From there straight to Cleveland where a QF loss to Annie Au ended Laura’s trip to the States earlier than she would have liked. She then flew home to prepare for the National’s and unfortunately lost to Madeline Perry in the semi final. Laura spent some time after that re-grouping and getting her focus back properly on what she wanted to achieve. After a short break Laura then travelled to Chicago renewed and ready to play. The event went great and she got her revenge on Annie and also beat Camille and Raneem to win the event. Great preparation going into the World Open in Penang. 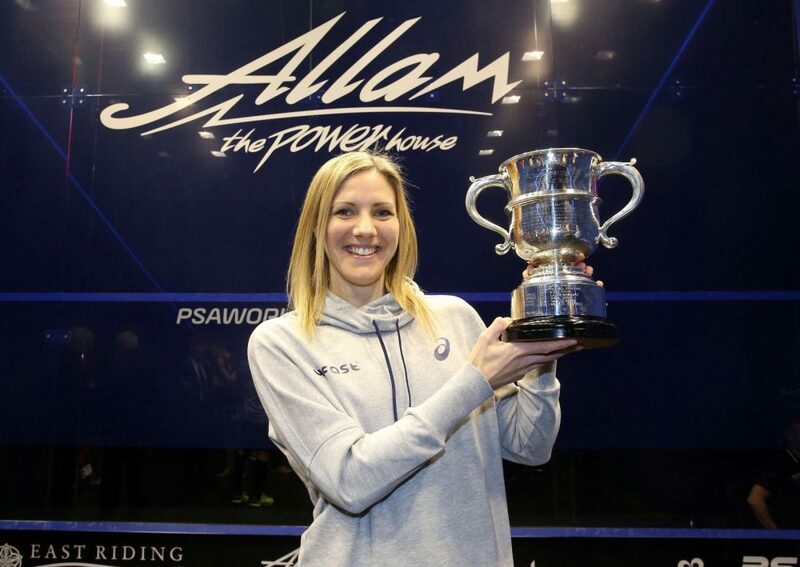 The event there was a massive success and after saving 4 match balls in the QF Laura went on to win the event beating Nour El Sherbini in the final to become the 1st English Woman since Cassie Jackman in 1999 to win the title. A massive achievement.